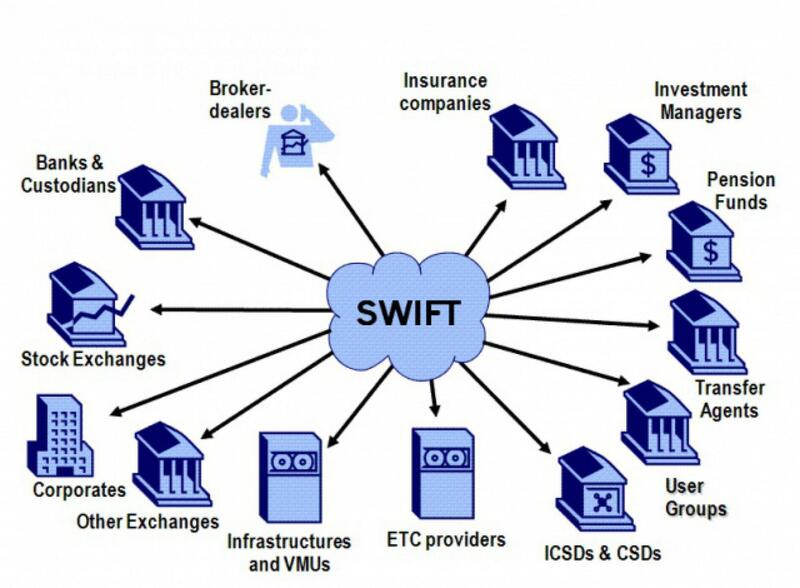 In 1973, in order to simplify and accelerate settlements between banks, the SWIFT (Society for Worldwide Interbank Financial Telecommunications) transfer system was created. It is a system in which banks around the world exchange information and data about payments. It is used by thousands of financial institutions around the world. The system provides about 1.8 billion messages per year. The SWIFT translation system combines several components — its own information transmission network, software that makes it possible to connect to the network and an algorithm for assigning each participant a unique SWIFT code. It is the SWIFT bank code that makes it possible to accurately determine the sender / payee and make the transfer within the shortest possible time. The risk of error in this case is minimal, because the SWIFT code is unique for each participant in the system and contains complete information about it. If the bank needs to send a payment or confirmation of a transaction to another bank, it prepares a message, encrypts it with the help of an encryption system created by SWIFT, and sends it through a special terminal to its counterparty. The counterparty, receiving the document, decrypts the message and applies it as intended. Transfers of correspondent accounts are also transmitted, and investigations are carried out on unexplained payments. With the help of the SWIFT system, organizations and individuals can transfer money to each other in any required currency. The goal of uniting into a single payment system was the desire to transfer funds from one bank quickly and safely to another, regardless of borders between countries and other obstacles. Previously, an alternative to SWIFT simply did not exist. But with the advent of distributed ledger technology, the situation began to change. And it turned out that the blockchain is ready to offer its services in the field of interbank and cross-border transfers. At the same time, the use of DLT makes this process faster, more technological and cheaper due to lower commissions. SWIFT is inevitably technically obsolete. Effective implementation of global interests requires updating tools. So what are the alternatives to the "almighty" SWIFT? Of course, we should start with a startup from San Francisco Ripple, because this project is considered the main competitor of the system. Ripple usually points out the disadvantages of SWIFT. The system is rather slow, clumsy. International payments in it are held for 3-5 days. This is incredibly long in the era of information technology. In addition, SWIFT is quite expensive to make payments. And up to 5% of transactions are counted as erroneous transactions. Ripple can change the rules of the game due to a fast and cheap system of international payments, which carries out operations in just a few seconds. And the cost of the transaction is simply minimal. Within the framework of a startup, several products are being developed (xVia, xRapid and xCurrent), which are able to become serious competitors of SWIFT. Major financial institutions are already showing interest in Ripple. xCurrent is a Ripple system designed to enable banks to transfer funds across borders quickly and efficiently using RippleNet, the Ripple blockchain. Through the system, financial institutions block capital in foreign accounts, called nostro accounts, to ensure the liquidity of cross-border transactions. This allows the receiving party to get money from the liquidity pool offered by the nostro accounts. Companies that already use this blockchain product claim that it is faster and safer than SWIFT. 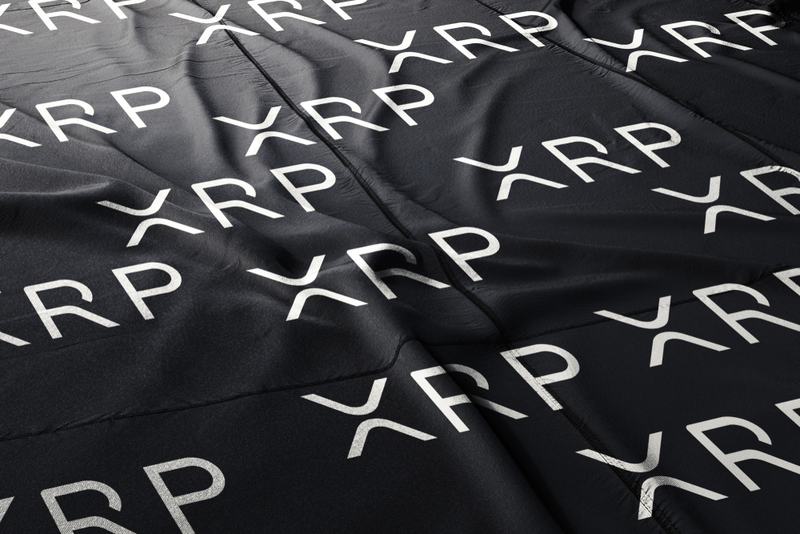 xRapid is also interesting to banks, but there is one problem — it is the volatility of XRP, the Ripple token. This startup blockchain product uses tokens as a medium of exchange. However, Ripple officially stated that all companies participating in the pilot projects using xRapid were able to save a lot. Compared to regular payments, they saved from 40 to 70%. At the same time, the transaction time was about 2 minutes. In addition, financial institutions get rid of intermediaries who require exorbitant commissions. Ripple CEO Brad Garlinghouse said that despite the fact that SWIFT representatives deny the value of blockchain for cross-border payments, already more than a hundred banks connected to this system signed an agreement with Ripple. “SWIFT said not that long ago they didn’t see blockchain as a solution to correspondent banking. We’ve got well over 100 of their customers saying they disagree," he said. The Reserve Bank of Canada, Singapore, and the United Kingdom have identified central bank digital currencies (CBDC) as one of the solutions that can be implemented to overcome problems in making international payments. In their report, they note that switching from existing banking channels for making international payments to new rails will help to cope with the problem of poor accessibility, scattered standards, and many intermediaries. The report by regulators notes that CBDCs, which can either be retail CBDCs or Wholesale-CBDCs (W-CBDCs), offer various advantages including 24-hour availability, anonymity and eliminating counterparty credit risk for participants. The first model involves using specialized cryptocurrency only within the country. In this case, the central banks of other countries must provide wallets for the digital asset in local currency. And commercial banks will have to open wallets for all the tokens that they intend to use. The second model suggests creating a CBDC that can be used outside the country. In this case, each central bank must support many types of tokens. This will allow commercial banks to hold several wallets together with a government regulator. The third model involves the introduction of a single CBDC, supported by all national currencies. It can be used in all participating countries. In this report, the shortcomings of a similar model are indicated. Universal cryptocurrency may become the object of manipulation, and the speed of its implementation will be lower due to the complexity of adding new currencies to the basket that supports CBDC. However, to capture this market, Ripple needs to grow many times. The main difficulty here is that nothing prevents SWIFT from using distributed register technology and using its already established business connections to offer the market a new product faster than Ripple. So, will SWIFT develop its own blockchain? Rumors that SWIFT would cooperate with Ripple were actively circulating some time ago. However, representatives of the company denied them. Instead, SWIFT recommends that all customers join the new SWIFT GPI (Global Payments Innovation) payment platform. GPI is a standard for international payments that increases the speed and transparency of payments. In essence, this is a technical solution embedded in the current SWIFT scheme. New features for the participants of the system appear due to the detailing in the GPI of information about the payment. It is believed that GPI originated as a response to Ripple. However, the introduction of the new GPI standard requires significant refinement of the existing IT infrastructure of banks. This process takes a lot of time and requires serious financial investments. Also at the beginning of the year, SWIFT experts tested the DLT platform. In an official statement on the results of the experiment, representatives of the company noted that significant progress had been made with the help of distributed ledger technology. The DLT sandbox allowed the system to control access, define and enforce user privileges, manage confidential data, providing it only to certain participants, and ensure the reliable operation of the identification system. And just the other day, SWIFT India signed an agreement with independent fintech-developer Monetago to create a pilot project for a DLT payment system. MonetaGo's financial networking technologies will be integrated into the standardized SWIFT system. Banks will create a network built on distributed registry technology that meets industrial, security, and data privacy management requirements. SWIFT India will make trading processes digital, while MonetaGo will provide solutions against fraudulent activity. The confrontation between SWIFT and Ripple has long been out of the technological plane. The global market has become a battleground for control over global financial flows. So far, SWIFT system is also a mechanism of power. Disconnecting banks from it is a way to manage entire sectors of the economy. Central banks, governments, monopolies, most likely, will not want to let this lever out of their hands. So they will most likely resist the attempts of banks to switch to Ripple. The blockchain systems do not have ‘buttons’ for connecting or disconnecting the economy of an entire country. Therefore, DLT platforms bear the risk of losing power for banking conglomerates, governments that have used SWIFT for years as an instrument of pressure on certain countries. Therefore, while the system is officially trying to resist. “With the help of the Ripple blockchain, interbank payments can indeed be made. But the exchange of personal data should be as confidential as possible. And only SWIFT can make a good job of it” said Wim Raymaekers, the head of the banking markets division at SWIFT. Can Ripple replace SWIFT? Or will banks make their own blockchain-based network, but which will be under their control? Time will tell how the situation develops in this area. But the struggle has already begun.